DD adores toys made by Aurora. As such, when we were contacted by the company to host another review & giveaway, we happily agreed. 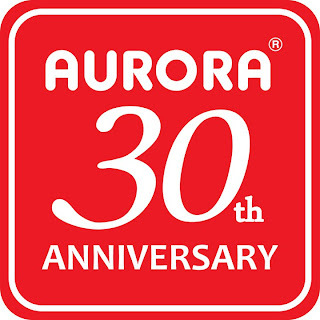 Aurora is celebrating its 30th Anniversary this year. The company is helping parents gear up for summer travel with a line of plush accessories based on one of the company’s top selling characters, Cheeky Charlie™. 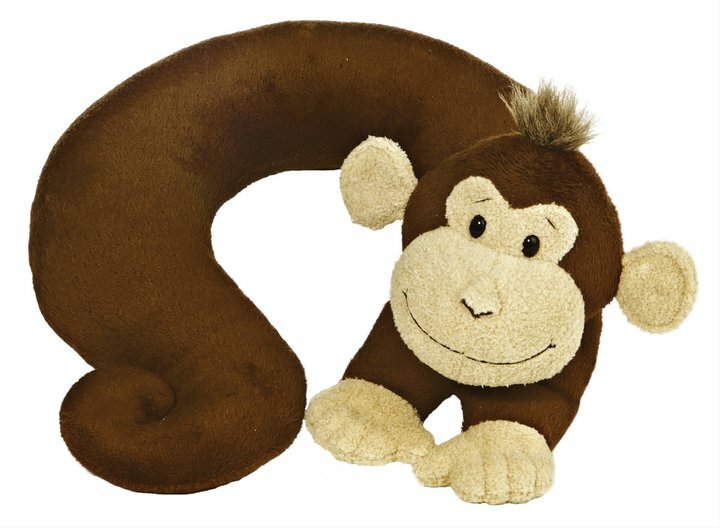 Developed particularly for boys and girls ages three to seven years old, Aurora’s “Are We There Yet” collection features Cheeky and his jungle buddies as plush, backpacks, neck rests and even “My Name Is” ID tags. We are planning on taking a trip with the kids the end of this summer (we are still working out the details on it), but the products we received from Aurora to review definitely has gotten DD excited about our little summer vacation. The company sent us a cute neck rest that DD has been using in the car. Sometimes we visit my in laws and on the way home, she is usually so exhausted from a day of fun with grandma and grandpa that she needs to take a nap. We have found that the neck rest is really useful and DD loves being able to nap with comfortably with the neck rest because it does offer her neck the support it needs. The other product we received was the 12" BY MY SIDE LEADS. It is the kids' size backpack that has a strap attached to it. Your child wears the backpack and you hold onto the strap to make sure that you don't lose sight of your child. I had something similar to this for DD when she was a toddler and I thought it was really useful. When we visited Disneyland sometimes it was so packed with people that I could not see DD even when she was only a couple of feet ahead of me. At the time, she was too young to understand she needed to be by my side at all times. She would get excited by something at Disneyland and then attempted to run after it. Having a product like this is very helpful with a young toddler who was unable to follow directions well and understand the danger of wandering off from her parents. While DD is no longer is need of something like this, I know I will be using this with baby G when he is older. So I am very glad we received the BY MY SIDE LEADS to review. Many thanks to Aurora. The company has generously offered a “My Name Is” ID tags as a giveaway prize to one of my lucky readers (US residents only please). 1). Please go to http://shop.auroragift.com/products/category/1570.0.1.1.57204.57803.0.0.0?pp=20&pg=1 and then come back to tell me about another product you would like to try (you MUST be a public follower of my blog to enter this giveaway, and your profile can not be set at private). 7.) Tweet about this review and giveaway. 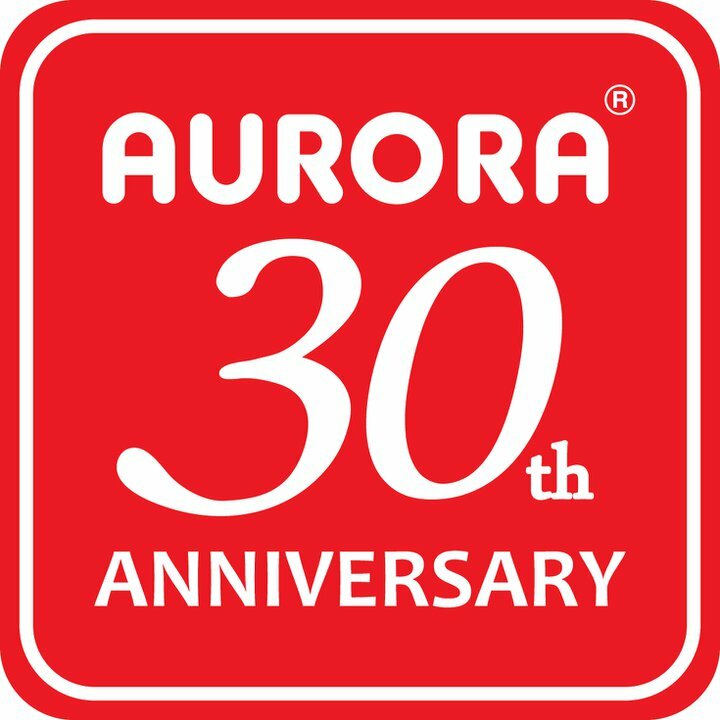 Please tweet the following: " I want to win Aurora: Are We There Yet? 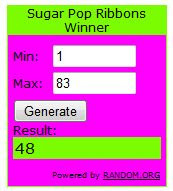 Giveaway @ http://www.sugarpopribbons.blogspot.com/ ". After your tweet, please leave me the url of your tweet so I can check. If you do not know how to check your tweet url, please read this post for step by step instructions. You can retweet once a day for 1 entry each time. I'd love to try the TUBBIE WUBBIE - BUNNY and I'm a public follower. I entered your Ella's Kitchen Giveaway. I LIKE THE MILLY'S ALL OF THEM! THE BRUITHDAY ONE IS CUTE! I like the Cheeky Superhero.